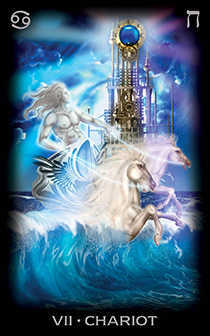 Use your powers of freedom and flexibility to drive your future. 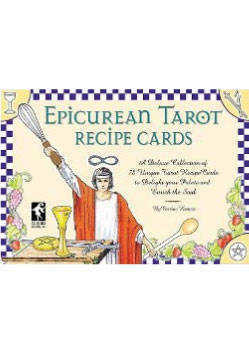 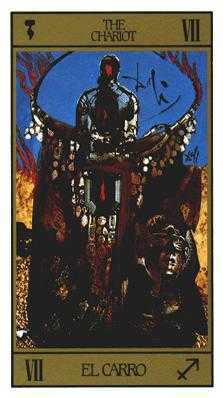 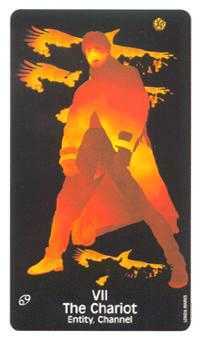 Epicurean Tarot Recipe Cards deck © U.S. Games Systems, Inc. 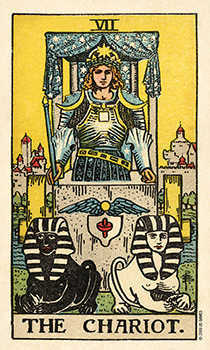 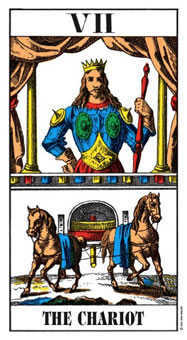 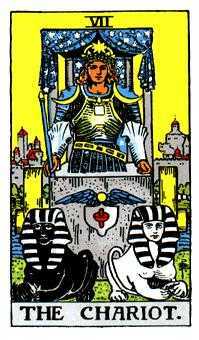 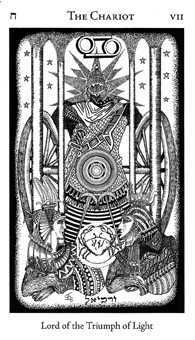 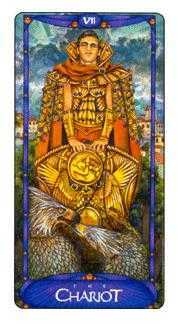 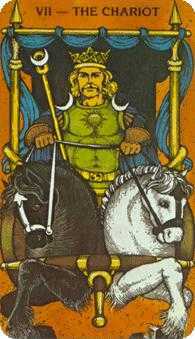 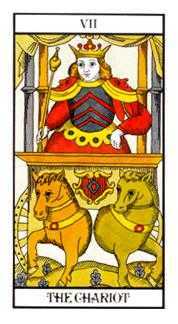 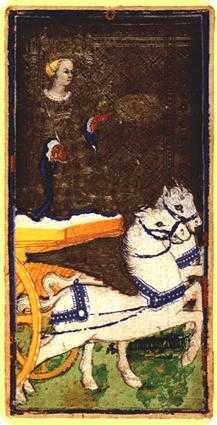 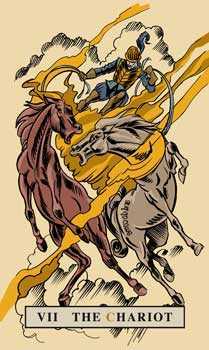 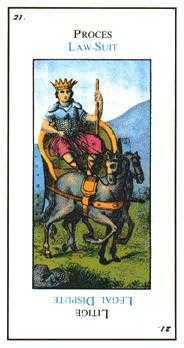 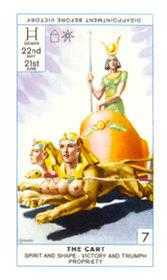 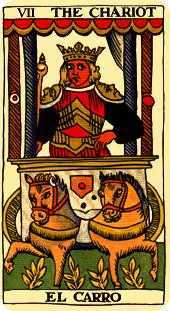 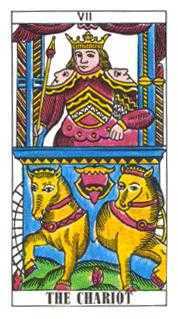 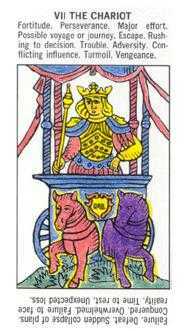 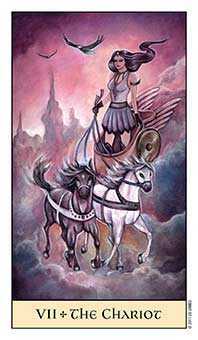 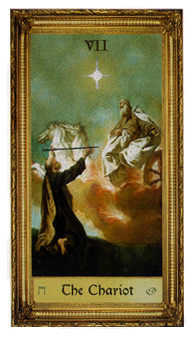 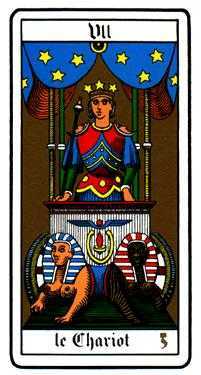 The Chariot Tarot card points to a triumphal feeling of freedom, as if the Charioteer is being paraded through the streets as a hero (or heroine). 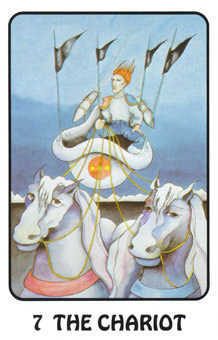 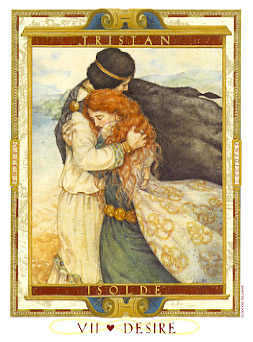 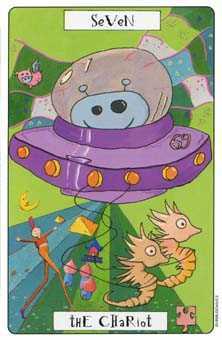 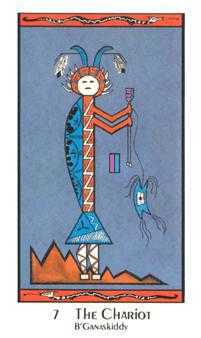 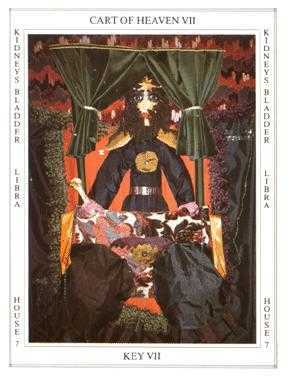 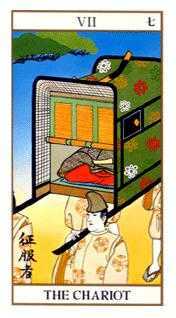 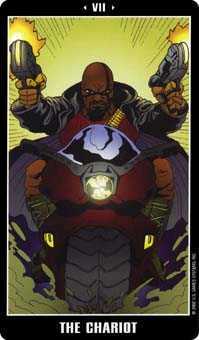 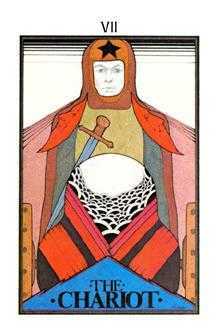 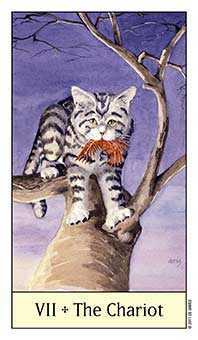 The card reflects congratulations for high achievement, and serves as a sign of empowerment. 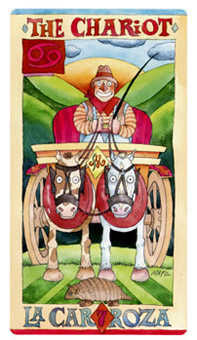 Huge wheels and frisky steeds speed the rate at which the driver's will power can be realized. 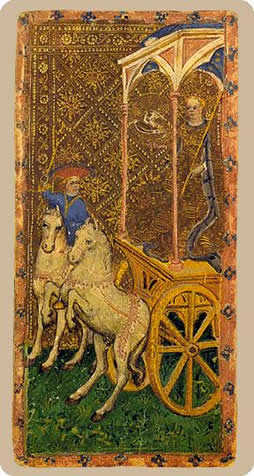 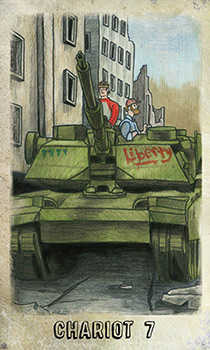 This kind of charge makes more of the world accessible to one ambitious enough to seize The Chariot's reins. 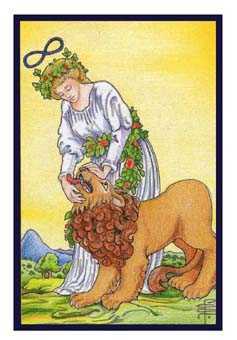 But there is danger in this feeling of freedom, because of the increased rate of change and its power to magnify mistakes in judgment. 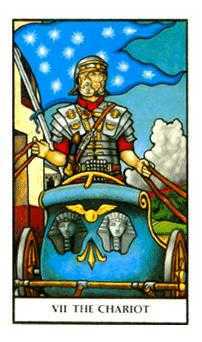 As a seasoned warrior, the Charioteer is called upon to be extra attentive to the way ahead. 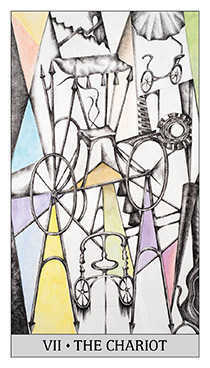 Look upon the movements of change as full of promise and adventure. 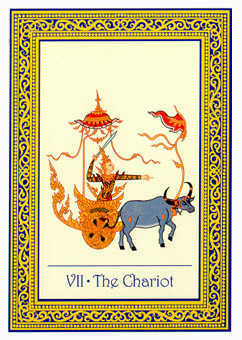 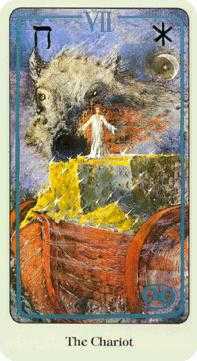 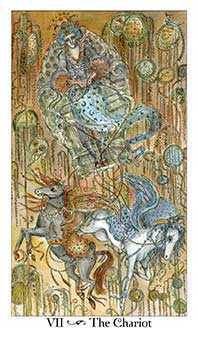 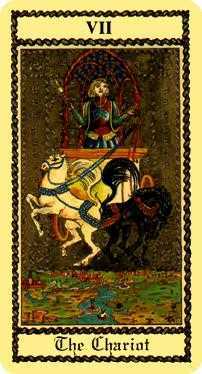 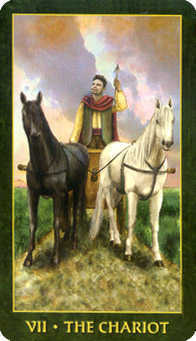 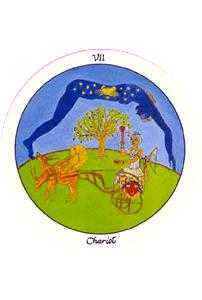 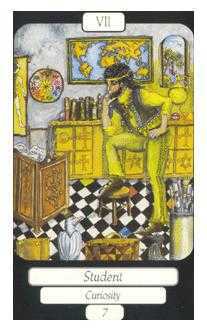 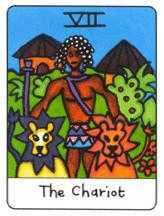 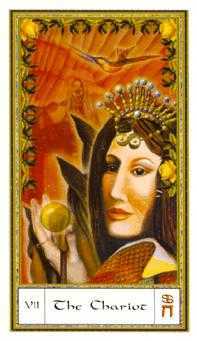 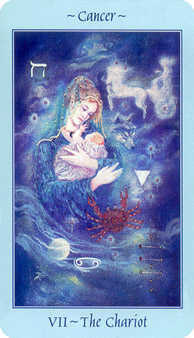 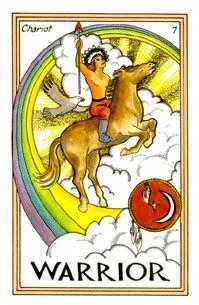 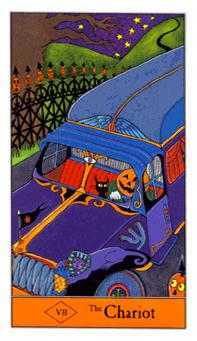 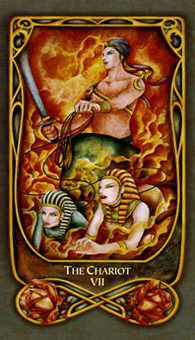 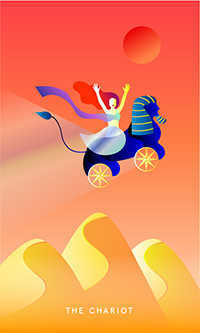 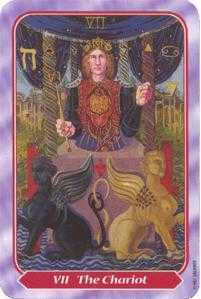 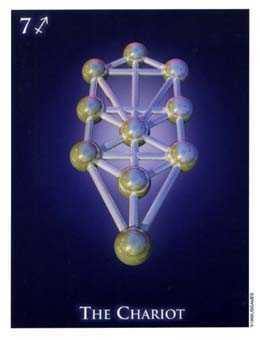 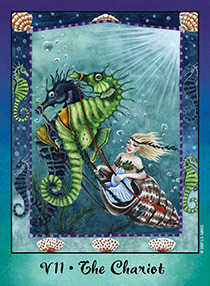 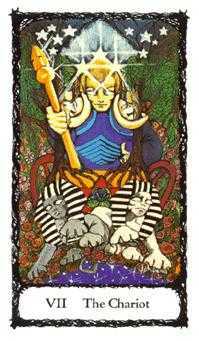 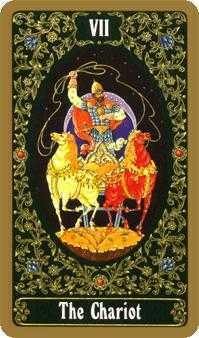 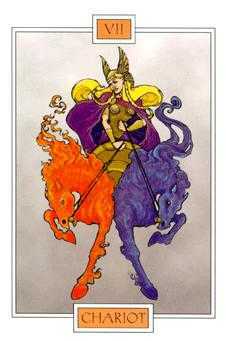 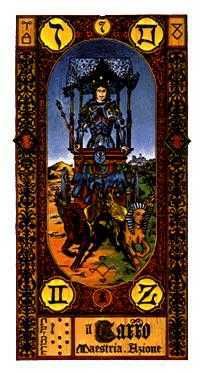 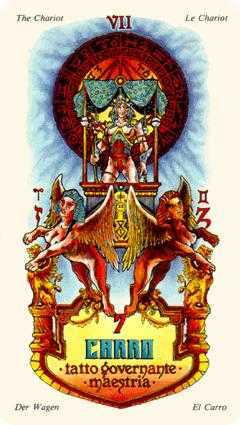 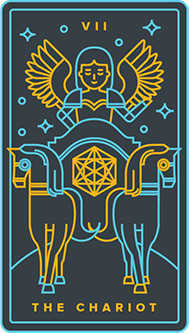 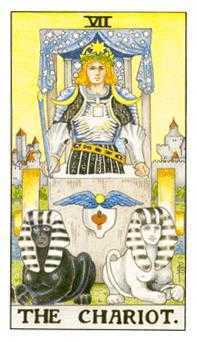 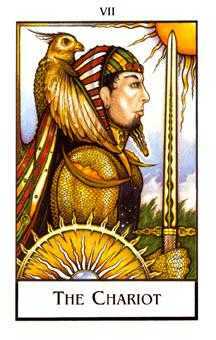 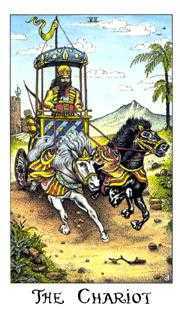 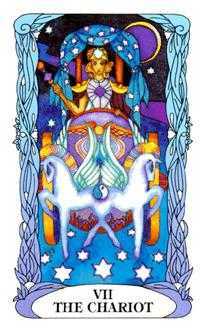 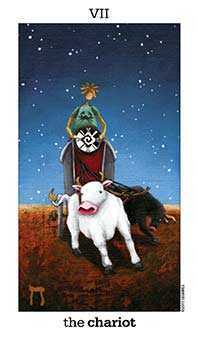 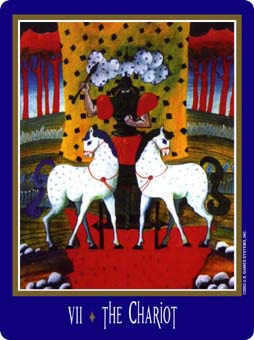 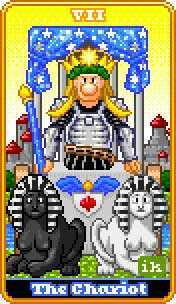 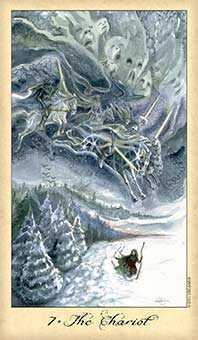 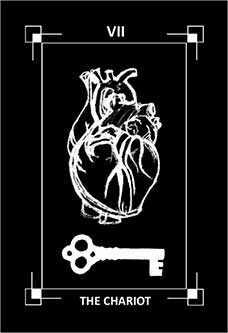 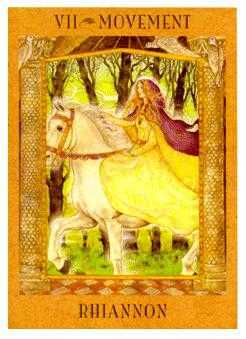 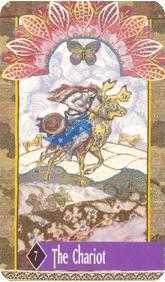 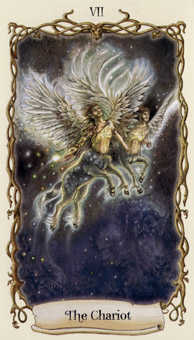 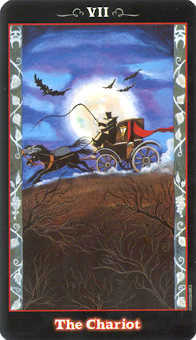 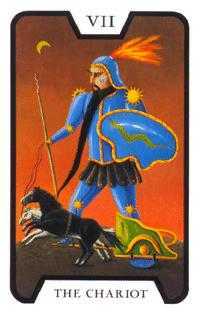 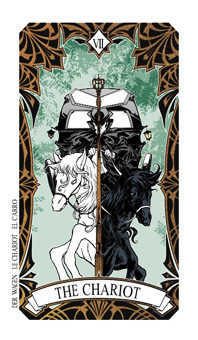 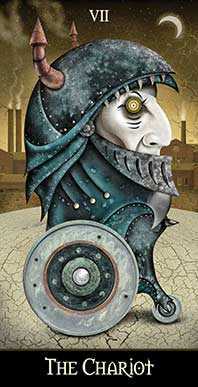 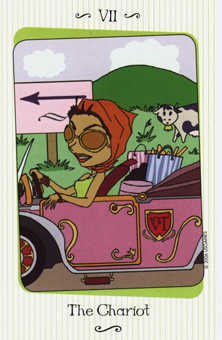 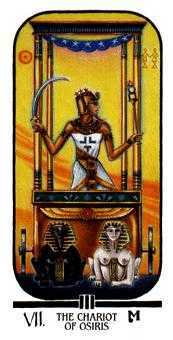 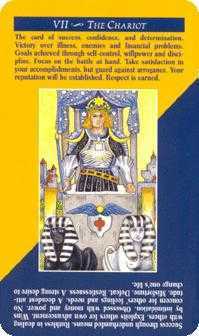 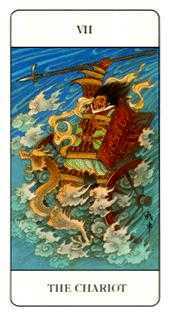 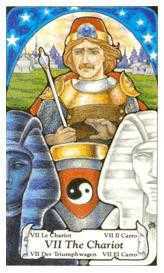 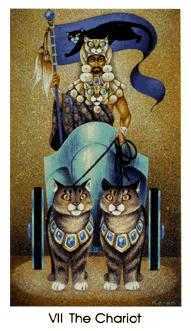 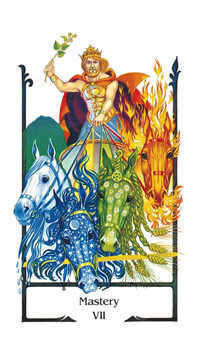 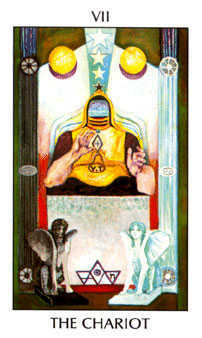 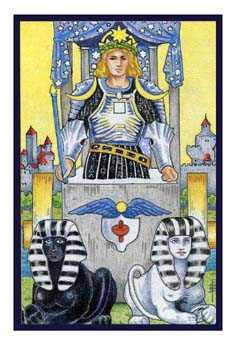 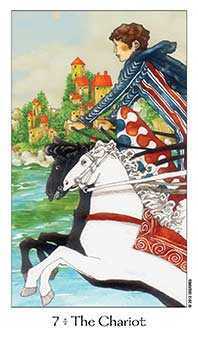 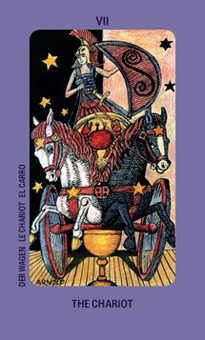 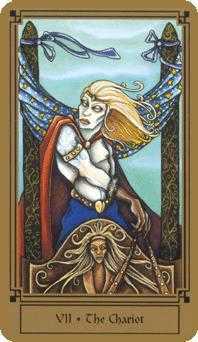 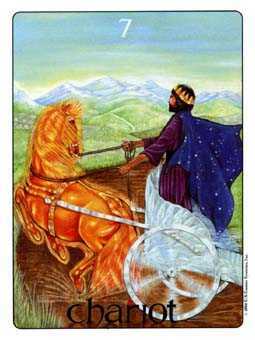 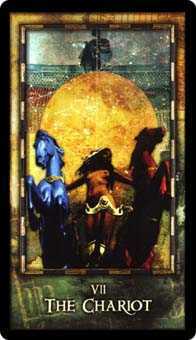 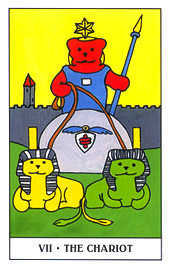 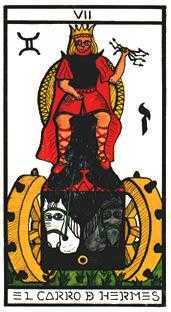 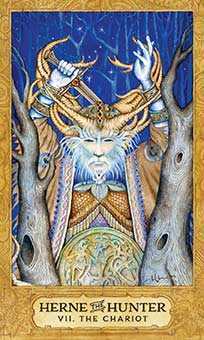 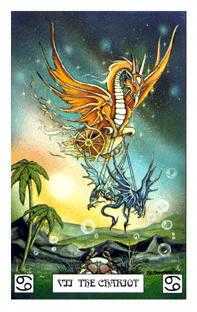 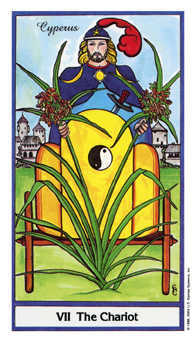 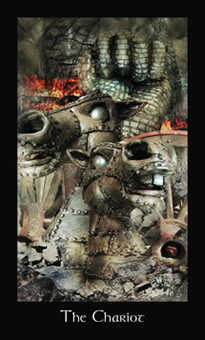 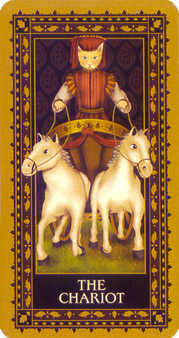 The Chariot advises that you be prepared for changes that might include a move or an opportunity to travel. 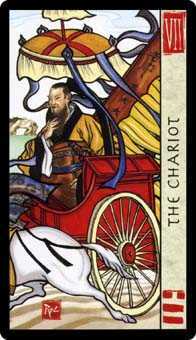 The Charioteer travels light and stays open to fresh experiences that change with every valley or mountain pass. 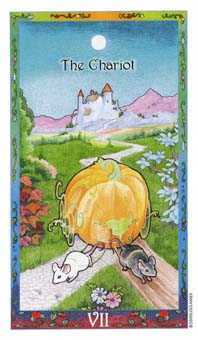 You may be asked to live out of a suitcase and consider every place your home for a while. 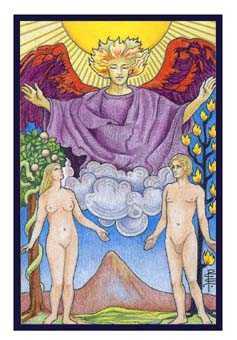 Be receptive to new people who come into your life. 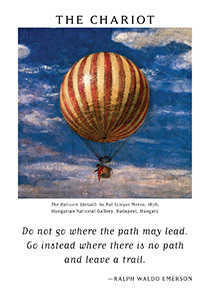 Most especially, become more fluid and taste the joys of freedom. 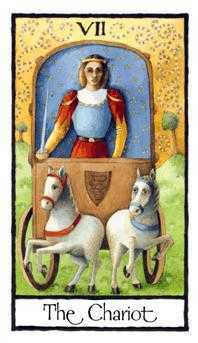 The Charioteer is nothing if not self-sufficient. 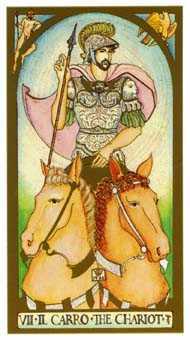 Be prepared and self-contained for the changes that will sweep in and carry you with them.